Expected ship date Tue Jun 04 2019. 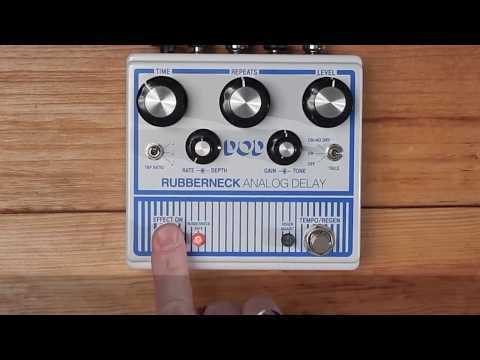 The new DOD Rubberneck Analog Delay has double the features with the cool new double-wide chassis. The Rubberneck boasts over a second of warm and musical 100% analog repeats you crave, along with tap-tempo, subdivisions, and tails. Double concentric knobs give you independent control of the Modulation Rate and Depth as well as Gain and Tone of the delay. Double footswitches allow for unique extended features like user customizable momentary control of oscillation and momentary control of the dizzying pitch sweep of “Rubbernecking.” These extended features are controlled by individual clear mini knobs that double as multi-color LED status indicators. 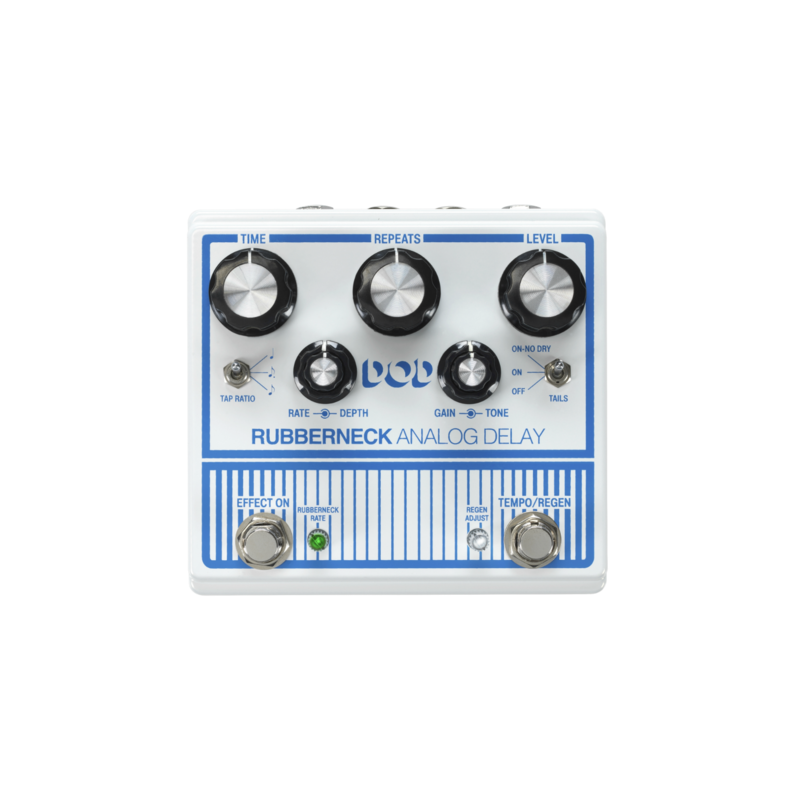 Feedback loop send/return, remote footswitch control, true bypass, and rugged metal construction, make the Rubberneck Analog Delay the must have delay of the year. 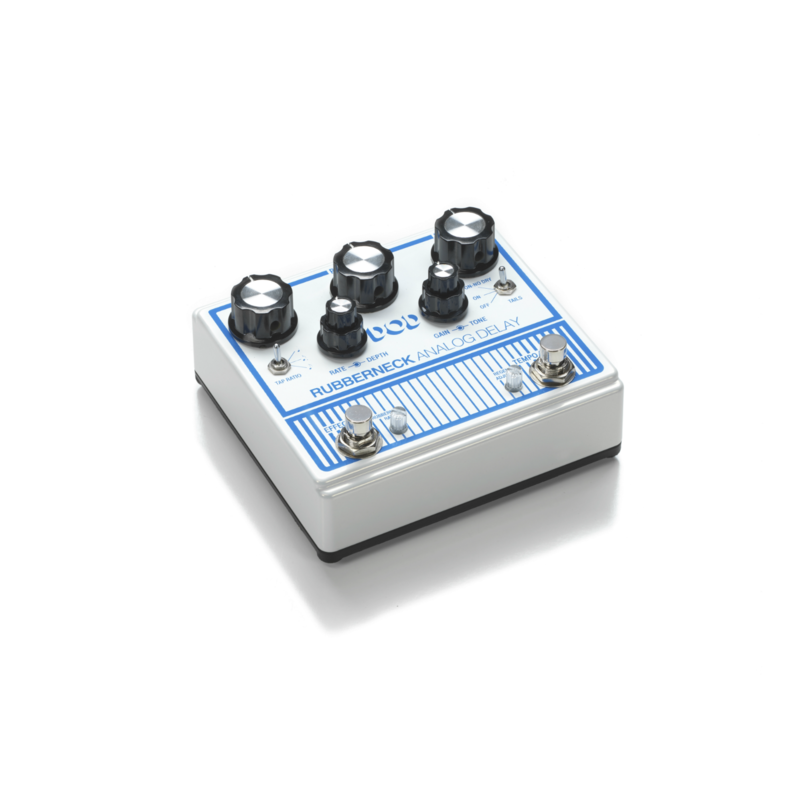 The Rubberneck also has jacks to allow FS3X 3-button remote foot switching, and a send and return so you can add external effects to the delay path. The DOD Rubberneck uses a 9VDC power supply to easily integrate into your existing pedalboard.